How can I give to St David’s? 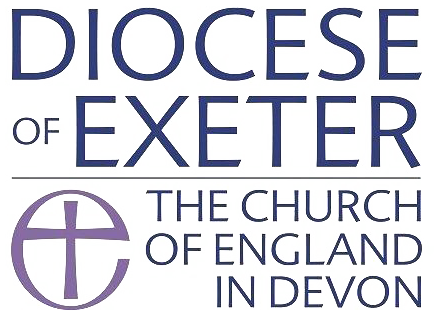 If you are new to the church, a very warm welcome, or if you have been a member for a while and are considering further how you can support the work of the church, thank you. b) where our love for God and for each other becomes internalised as love for ourselves, and overflows into love for the world. It is not easy to find time for prayer in our increasingly busy lives, but it provides a vital underpinning for all we do here at St David’s. The notice sheet each Sunday suggests different areas of concern, both local and global, to remember in our prayers. As well as supporting the life of the church, meeting God through prayer puts us in touch with a love that can transform our lives. After prayer, the most valuable gift we can give to the church is ourselves, using our gifts and enthusiasm and time for St David’s. Being a welcomer, joining the choir, visiting someone who can’t get here, giving them a lift, making soup for the homeless people who come on Thursday evenings, helping organise our social and fundraising events, or telling friends about us, are just some of the ways you could get involved. If you would like to consider this further, please talk to Christopher (our curate), one of the churchwardens, or the person responsible for organising the particular activity you are considering. In order to fulfill our vision for the church, we also need to raise money to cover our existing costs, and then identify exciting new areas for growth and development in future years, e.g. youth work or community outreach to support people facing ‘tough times’ in their lives. The enclosed leaflet provides more details of the church’s financial stewardship scheme. For those of you who are tax payers there is also a Gift Aid form which will allow us to claim back an additional 25 pence for every pound you donate. If you are a higher-rate tax payer, you can also claim back tax relief on the donations, which you could then choose to donate back to the church if you so wish. As well as raising the money we need, we also need to support and develop our key resource, namely the people like us who make up the church: ‘the body of Christ’ – with our many gifts, talents and abilities that God calls us to use in his service. So out of the challenge that faces us comes an opportunity to share in the future life of this church, to build that future together, and encourage new people to join us as we do. Please think carefully and search your hearts, and give as generously to the church, through prayer, volunteering and financial support, as you can. If you wish to make a donation, please click on the Donate button below.